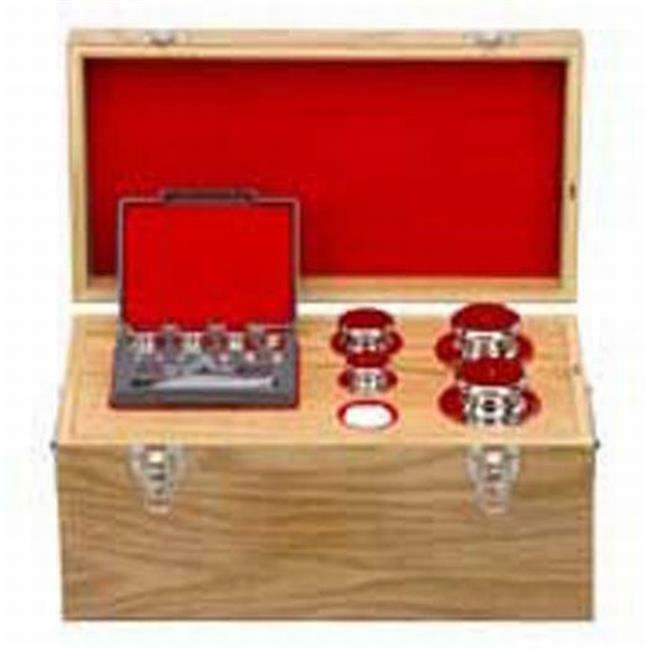 The metric calibration weight set meets International Organization of Legal Metrology (OIML).Calibration weights are used to measure the weight or mass of an object using a balance or scale, or to calibrate other weights or instruments. Calibration weights can be certified or uncertified. Certified weights meet strict guidelines for accuracy and can usually be recertified. Certified weights are used in labs where a high degree of accuracy and repeatability is required. Uncertified weights are used where a lower degree of accuracy is required, including student laboratories, rough weighting operations, and measuring force. Hooked and slotted weights are often used to measure pressure, torque, and tensile strength, and to demonstrate basic laws of physics. Calibration weights differ from lab weights, which are general purpose weights used to hold an object in place, similar to a paperweight. Science education products incorporate applied math and science principles into classroom projects. Teachers in pre-K, elementary, and secondary classrooms use science education kits and products alongside science, technology, engineering, and math (STEM) curriculum to demonstrate STEM concepts and real-world applications through hands-on activities. Science education projects include a broad range of activities, such as practical experiments in engineering, aeronautics, robotics, energy, chemistry, physics, biology, and geology.